At the launch of the Global Tourism Resilience & Crisis Management Centre, Jamaica Prime Minister Hon. Andrew Holness shared his thoughts on the importance of the work being initiated today through this Centre not only for tourism, but for the global economy as well. “Over the last several years, governments and societies have become increasingly aware of the need to mainstream resilient strategies in their everyday operations. Faced with a wide range of dynamic threats, the global economy has become far more volatile and increasingly uncertain. Consequently, policymakers across all economic sectors globally are facing unprecedented demands to insure that strategies promoting resilience, mitigation, and adaptation are central to their agendas for achieving sustainable resilience. “Of all the major industries globally, arguably none faces greater exposure to disruptive forces than the hyper-connected tourism sector. The irony of the tourism industry is that the tourism sector has also displayed this uncanny ability to recover. So there is just something about tourism that is resilient. It is the most exposed but has also demonstrated the greatest ability to recover. “And in speculating, I was in the room when Peter [Tarlow] offered his thesis as to why this may be, and Richard in his doctoral thesis delivering here today, might have suggested that it is because travel is so important to the global economy, that policymakers go the extra mile to insure that whenever there is a global disaster that is disruptive and dislocating that we put in place very quickly the measures to open up the government or open back the government. So the thesis offered by Peter is that the government of the United States reopened as soon as it was clear that airports were about to shut down, and that is indeed the hope of travel and tourism and insuring that we and recover quickly. 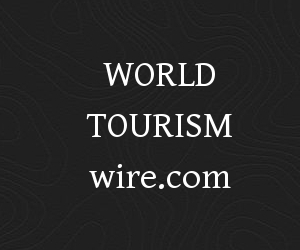 “The most recent data provided by the UNWTO found that in 2018 the tourism sector grew by 4.6 percent, and that was much faster than the global economy. For Jamaica over the last 10 years, our tourism industry grew by 36 percent. That’s amazing! While the rest of the overall economy over the last 10 years grew by 6 percent. So tourism is the standout performer. “To reinforce the point, in the last decade, Jamaica suffered terribly in the last global recession. Luckily, our financial sector did not suffer as badly as others, but the rest of our economy plummeted in 2009. In fact the latest data is showing that we are just now recovering ground where our economy has grown back to where it was in 2009 at the start of the recession. But tourism has just grown leaps and bounds, and that reinforces the point that there can be all kinds of shots to the economy, and many industries will take far longer to recover, but tourism has managed to recover very quickly. So for policymakers it is important that we study this phenomenon, we understand it, and we properly document it and assimilate it, and mainstream it into our practices to insure that whatever kind of disaster may affect us, we can actually recover.